It seems to me that ‘Olympics’ is fast becoming a word not to use and a subject not to talk about. It is fashionable to be anti the Games with talk of inequalities, no ticket availability, cost, disruption and on and on. Well I disagree. 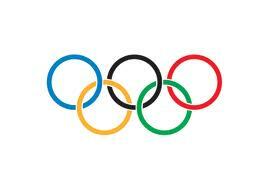 I am a firm supporter of the Olympic ideal. The organisation is not perfect, not enough people will ‘benefit’ maybe, but hey, it is on time, in budget and in London! A once in a lifetime opportunity for our athletes and sports people to compete at a home venue, and for all eyes to be on our country. So, although I may not be on trend, I am proud to be an Olympic Storyteller, excited at the prospect of the Games being held just down the road, and especially pleased to have been awarded a Silver for my poem in the latest Storyteller challenge. The poem may be a little cosy, not my usual style, but I applaud the principles it depicts. The thing about a circle is there is no point of origin, no end and no beginning. It rolls around and around its own perfection. What better way to show, with no words, a joined endeavour. Better than one circle is two, or three, or five. Five rings overlapping with geometric precision, forming arcs and islands, curves and swirls. curve of torso over highest bar. controlled billow of rushing air in canvas sail. discus, receding eye of target. sympathetic sigh for last to cross the line. volunteer and engineer, holding firm to principle. five, perfect, joined up rings. This entry was posted in BT Olympic Storyteller, inspiration, London 2012, Olympics, poet, poetry, poets, word painting, writer and tagged 2012 Summer Olympics, BT Olympic Storyteller, BT Olympic Storyteller 2012, London, London 2012, Olympic Games, Paralympic Games, poet, poetry, poetry. writer, writer, writing. Bookmark the permalink. Fully endorse all you say about the Olympics, Sally. Geoff (other half) is part of the Olympic games maker team, has been for two lots of training already – I’m so proud of him. He has enjoyed every bit of the experience so far and is looking forward to two weeks in London later in the year. Well done Geoff. It is warming to find other people prepared to be positive about the Olympics and to give their time and enthusiasm towards making them work. Congratulations on winning Silver. I love what you’ve done, especially about the sportsmanship, the camaraderie among ahletes and spectators alike. What a lot of people don’t realise is that athletics at club level has no funding whatsoever and that those UK athletes who make it through to the big events like the Olympics or World Championships started out in an athletic club being coached by volunteers. There is an army of men and woman throughout the UK giving up their free time – UNPAID – to coach athletics. My husband is one of them ! Absolutely Sandra – and our athletes do so well despite having had no backing at grass roots level in terms of finance etc. Thank goodness there are those volunteers who love their sport enough to give so much time and effort to the emerging talent. I love this poem, but really I think it should have got GOLD! !